When it comes to the kinds of statement-making pieces contained in jewelry collections, most tend to associate earrings with a more subdued kind of allure. 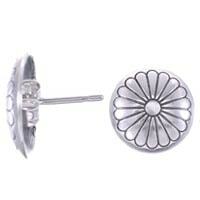 After all, earrings are one of the tinier embellishments a person can adorn their frame with, and in many cases, they’re concealed or muted by flowing locks. But for many avid earring-wearers, leaving the house without a pair of shining hoops, studs or dangling jewels can be similar to walking out of the house barefoot – a palpable piece of your daily look is incomplete. Although it may not seem so starkly apparent, a pair of tiny bejeweled earlobes holds the power to freshen and alter an appearance, frame a face, provide symmetry, enhance or downplay a particular feature, and convey a distinctly expressive attitude. And although the draw is undoubtedly a more subtle allure, that subdued nature hardly detracts from the classically elegant, enigmatically enticing pull that a pair of earrings can instill in its wearer. With the collection of timeless sterling silver and gold earrings contained within SilverTribe’s jewelry vaults, the kinds of dainty, bold or captivating allure each pair holds shows no bounds for personal expression and stylish flair. And now, SilverTribe invites you to explore our vast array of classically appealing yet uniquely stunning inventory of timeless southwest-inspired jewelry. Although the perfect pair of boldly-hued, distinctly shaped earrings can have an extremely expressive effect for its wearer, as with any kind of jewelry piece, differing styles will cater to a distinct kind of feature, frame and personality. 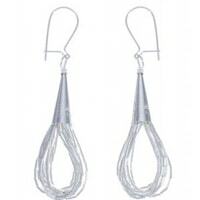 There are three unique styles of earrings contained within SilverTribe’s sterling silver jewelry vaults: hoops (small and large), studs, and dangly earrings (long and short). While all three styles contain a uniquely crafted, refreshing kind of elegance, they emit a distinct style and tend to assimilate to a particular individual. 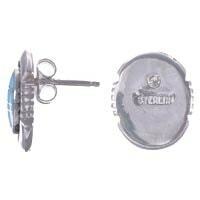 Not surprisingly so, stud earrings tend to be the more muted of the three. Unless the wearer has her hair propped up in a ponytail, or has styled her hair so her earlobes are visible, studs aren’t typically on display unless intimately explored. 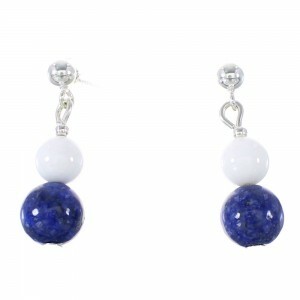 Yet, it’s this intimacy that tends to make these earrings the most subtly alluring. With the simple tuck of the hair behind an ear, a woman can flash both a sense of sensuality and elegance. 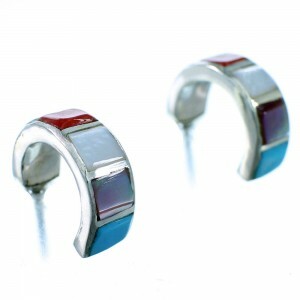 Hoop earrings, on the other hand, are designed for the most colorfully confident of wearers. Although they can be smaller or shorter and circular or oval-shaped, the most common theme that tends to transcend hoop earring wearers is a sense of increased charisma. Individuals sporting a classic pair of silver-studded or coral-dipped earrings are emitting a bold nature and daring sense of attraction. Dangly earrings tend to be the most curious of the three. Capable of being concealed behind flowing locks, protruding ever-so-slightly from beneath a style, or on full-display in an up-do, dangly earrings are incredibly versatile in nature. While most any woman or man can adorn a pair of classic dangly, hoop or stud earrings, there are a couple things wearers should consider when searching for their perfect pair. 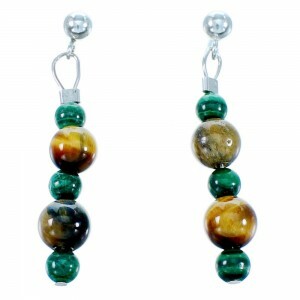 Try to take your hair color into account when browsing for the perfect earring pair. Gold, yellowish colors complement blonde locks, while sterling-silver and platinum metals tend to work well with brunettes. Find what flatters your unique face shape. 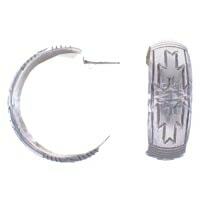 Individuals with rounder faces should avoid larger, hoop earrings, as they have a tendency of widening the face. 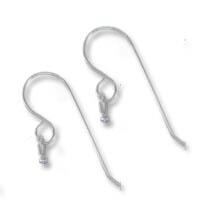 Conversely, individuals with longer, more oval-shaped features should stay away from dangling earrings, which will continue to elongate the face downward. How your earrings complement/contrast the rest of your outfit. 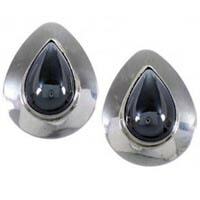 For many individuals, this tends to be one of the more overlooked aspects to wearing a pair of earrings. If your ensemble consists of richly-colored hues and eye-catching patterns, try to find a pair of more subtle, delicate earrings. 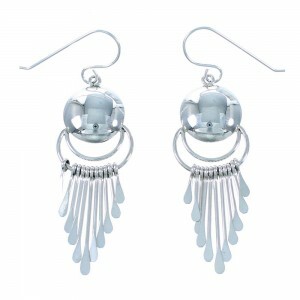 And if your outfit is somewhat neutral, don’t be afraid to add some flair with a bold pair of chunky earrings. 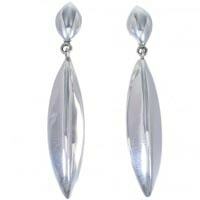 The classic beauty behind an elegant pair of earrings is virtually unparalleled in the accessory world. 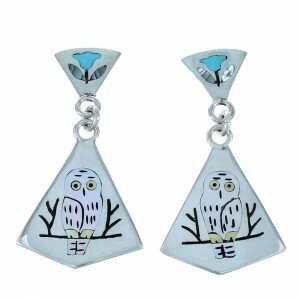 However, the collection of timeless earrings contained within SilverTribe’s jewelry vaults emit this kind of energy, on top of a uniquely inspiring southwest flair. At SilverTribe, we’ve been fortunate to build up some substantial, longstanding relationships with some of the most revered jewelry craftsmen and craftswomen in the southwest jewelry industry. And what’s more, a large majority of artists teamed with SilverTribe are native to the breathtaking landscape that coats the American southwest, rich with careening, chalky canyons, piercing blue streams, deep night skies, and multicolored sunsets. 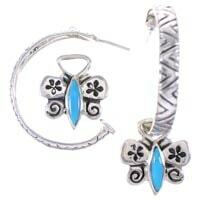 One of our most popular kinds of sterling silver pieces are our turquoise earrings. With both sky-blue hues and earthier teal tones to complement their rustic sterling silver beds, SilverTribe’s collection of turquoise jewels is certainly something to be revered. And our turquoise collections are just the start to a decorated pallet of stunningly bold colors. Our vaults contain a collection of captivating corals, deep onyxes and opals, playful magentas, and earthy ambers. While the shades contained within our jewelry vaults are something to be admired, a bold hue certainly doesn’t detract from the uniquely playful, southwest-inspired designs that provide a sterling silver canvas. Sterling silver, a close cousin to the softer pure silver, is a unique concoction of various alloys and metals, working in synch to create a finish that’s both lustrous and incredibly durable. At SilverTribe, we’re firm believers that impeccable style and unique flair should never be sacrificed for a sky-high price tag. All of our jewelry contained within our timeless vaults is both meticulously crafted with the utmost care, and comes with an incredibly affordable price. And what’s more, as a thank you to our valued customers, SilverTribe is now offering FREE shipping on all our timeless bolos, buckles, bracelets, necklaces, watches, earrings, pendants, pins and rings. 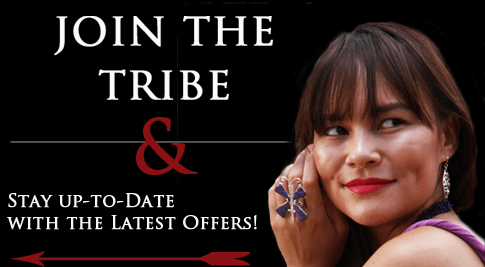 And for even more deals, be sure to sign up for SilverTribe’s mailing list on our homepage, and become eligible for exclusive monthly deals, sales, giveaways and promotional offers – all for FREE. 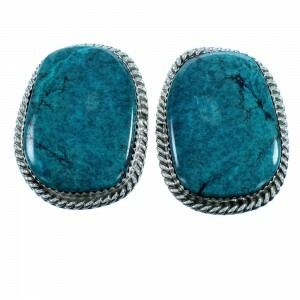 And although a pair of alluring earrings is crucial to completing any jewelry collection, it’s merely the start. Be sure to explore our wide array of sterling silver, southwestern-inspired jewelry to mark your personal accessorizing statement.